George Creek culvert prior to replacement. Note width of outflow pool and overflow pipe, above right. The Nestucca River on Oregon’s North Coast is a major producer of wild salmon (chinook, coho, chum) and trout (winter steelhead and coastal cutthroat). George Creek is a critical spawning and rearing tributary to the lower Nestucca used by all of these species. Trout fishers who want to test themselves against salmon and steelhead are faced with a whole new range of flies, so what should you do? Your best bet is to do some research about the best patterns for your local waters and. . .
Trout fishers who want to test themselves against salmon and steelhead are faced with a whole new range of flies, so what should you do? Your best bet is to do some research about the best patterns for. . .
7-year-old Maya proudly displays her first two sockeye salmon. How soon should kids learn to fish? Take a page from Glenn Cain’s playbook! Glenn sent us the following message as well as this great photo of his budding angler: . 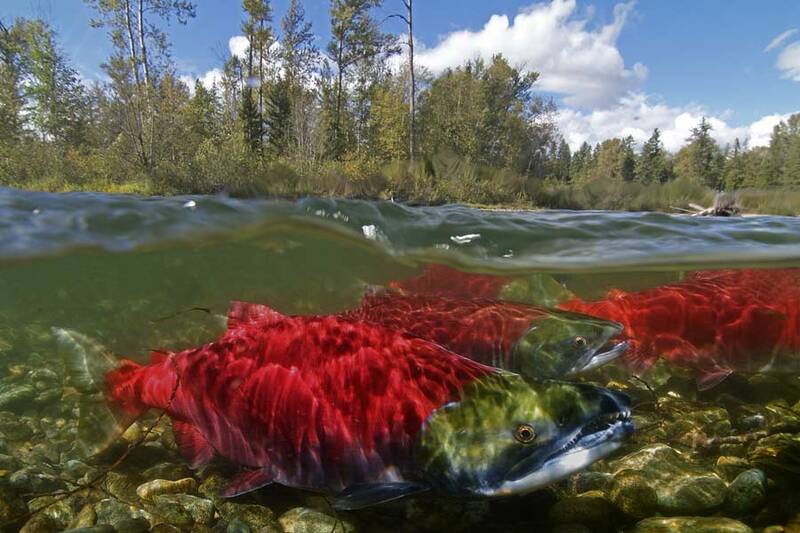 . .
that these gorgeous fish reach their spawning destinations. In Idaho, chinook salmon, steelhead, and bull trout have all been listed for protection under the Endangered Species Act. That’s the bad news. Bob Rees displays a hatchery salmon that is a sad replacement for the wild fish that once swarmed up the Columbia River. As the rain pelted down and the boat raucously shook in the choppy Columbia River, young Cole weathered the elements and fought the spring-run Chinook salmon tooth and nail. With Cole’s rod doubled over and the salmon thrashing right below the river’s grey surface, Bob dropped his net into the water and pulled up a. . .